I purchased a replacement on eBay, they are getting harder to find since changes to regulations about transport of batteries, but there are still quite a few sellers. 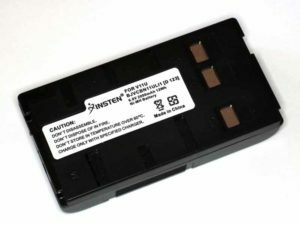 The battery arrived in a few weeks from the USA, but a Chinese battery. The first issue is that the battery would not charge in the theodolite’s charger. 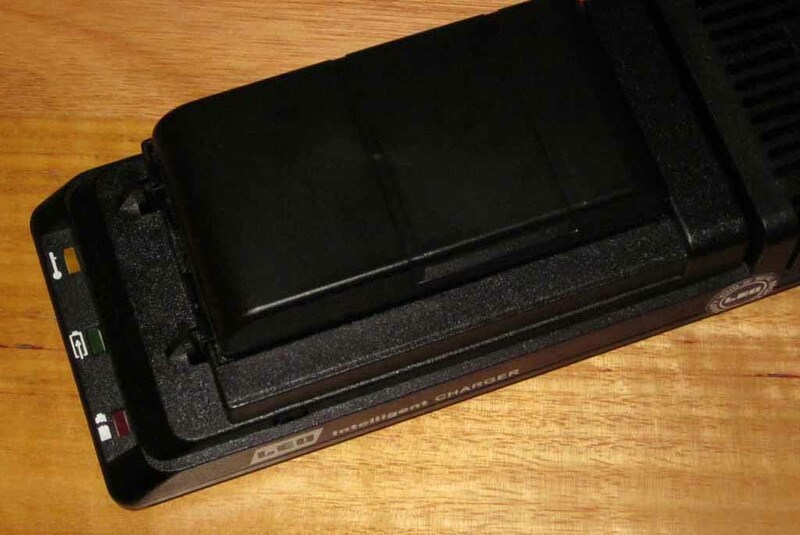 The battery triggered the charger’s over temperature protection. On closer examination, the battery is open circuit between T and -ve terminals, there should be a thermistor of about 10kΩ at room temperature. Higher resistance means higher temperature, and an open circuit (infinite resistance) will trigger the over temperature protection is chargers. The battery did charge in another charger which did not have over temperature protection. Above, the discharge characteristic of 7 charge / discharge cycles from delivery. 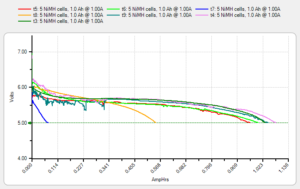 Two fell way way short and it would seem the battery falsely indicated charged, the others come in around 1.0Ah, 50% of the batteries rated 2Ah capacity. An eBay refund was obtained, and another battery of the same type purchased from a different seller, although the same Paypal ID involved. 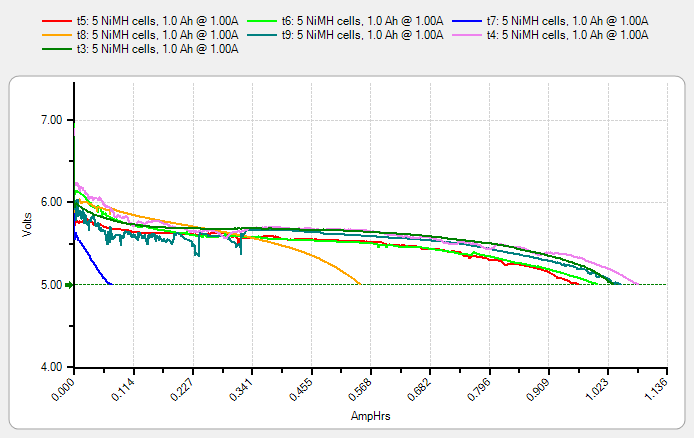 The replacement battery also had no thermistor, and on several charge discharge cycles came in at around 1.0Ah capacity, 50% of rated capacity. Again a full refund was obtained. Two out of two with the same problem suggests systematic fraud rather than an isolated faulty battery. A disappointment as I have bought these batteries on eBay over a very long time, IIRC correctly the last pair were from a Sydney based seller (Chinese product) for about $30 for two incl post, and they exceeded rating at purchase and now after 6 years have about 50% capacity… similar to that of the new batteries above.